I was impressed with the professionalism with which you installed our new central heating boiler in Northwich. 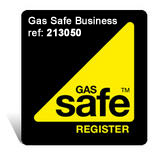 I would not hesitate to recommend Gas Sure Ltd for any plumbing and heating engineer work. Great job - Best plumber in Northwich! Kevin Watkins - Davenham, Cheshire. We are more than happy to recommend the services of Gas Sure Ltd plumbing and heating engineers from Davenham in Northwich. We recently needed our gas supply 'making safe' in preparation for out new muti-fuel stove. Steve Jacks did a top job, efficient, clean and at a great price. Nick and Nikki - Winterley, Sandbach. Many thanks again Steve and Sean for doing the boiler and heating when it really mattered. All working brilliantly! Michelle D - Kingsmead.